This involves insulating the roof of your premises to protect from heat and cold, whilst at the same time ensuring there is a reduction in heating/cooling needs and thus less energy is required saving money. 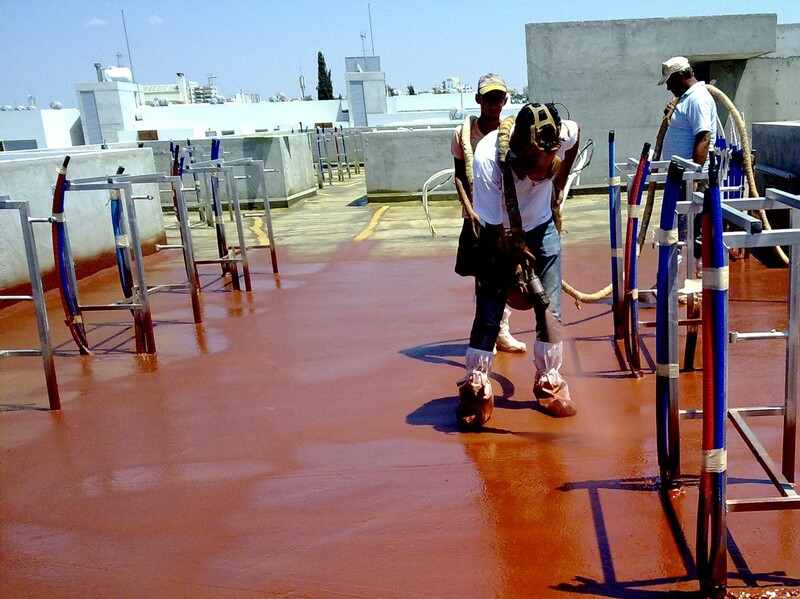 The polyurethane foam spray is applied directly to the roof of your building in layers to achieve the required thickness and is workable almost instantly as it solidifies upon contact. The foam can be applied to almost all surfaces including wood, brick, concrete and metal. 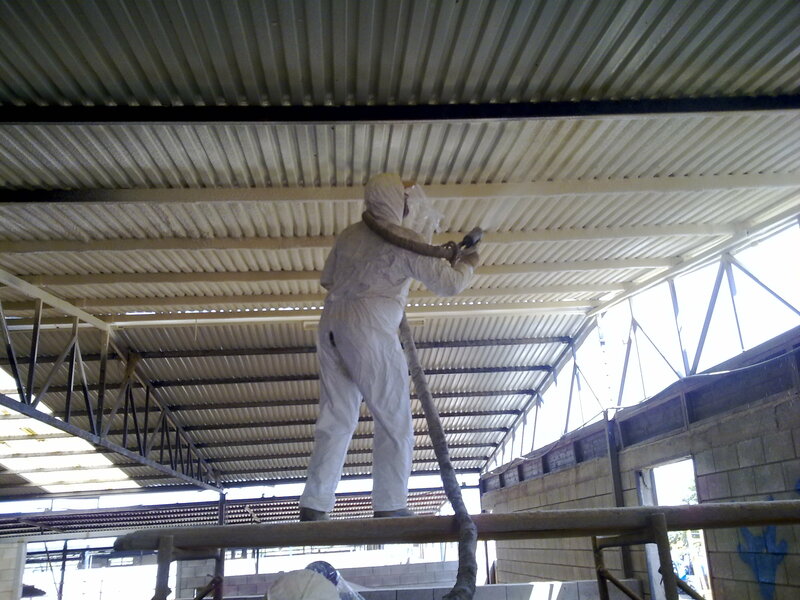 Insulating the roof of your building to give it a waterproof seal will ensure that liquid and moisture will not enter the building that could possibly lead to corrosion of the building materials and damage to the construction because of moisture. 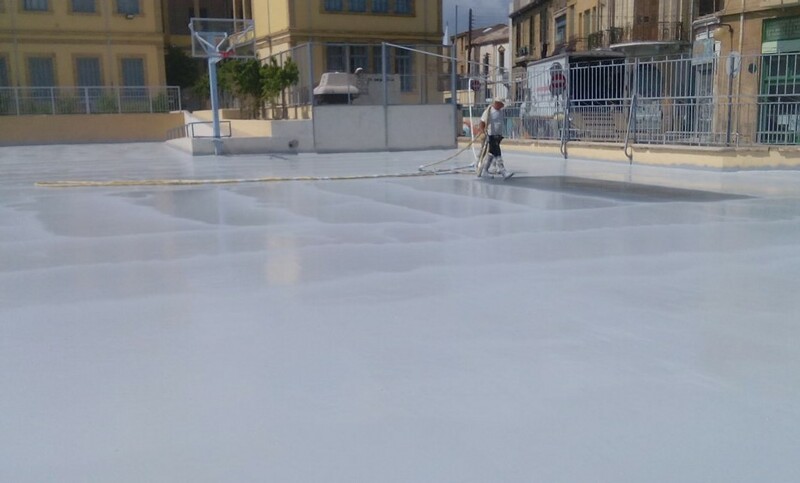 This watertight seal will be applied to the roof in layers to achieve the required thickness and again can be applied to almost all surfaces including wood, brick, concrete and metal. 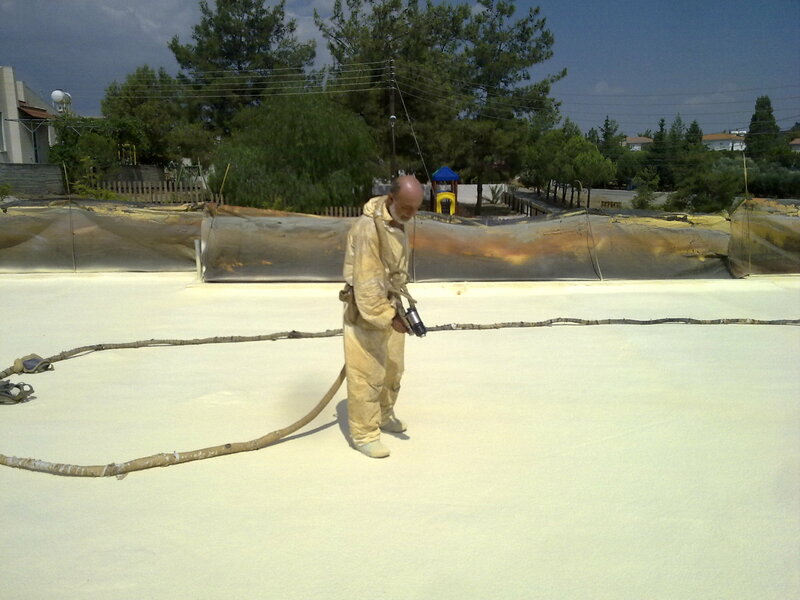 The material is extremely resistant to weather conditions that exceed by far the temperatures experienced in Cyprus. Insulation applied to or within the walls to protect from the heat and cold – again ensuring a reduction in heating/cooling costs and therefore money. Applied within or onto the walls, the material traps air to provide an effective layer of insulation that keeps the heat in the building and the cold temperatures out in the winter and the reverse in the summer. High specification and very durable flooring for areas where constant use of the floor is required. Amongst other areas, it can be applied to industrial areas, flooring in areas where there is food, garages, exhibition areas and many more. Applied directly to the concrete in layers, the flooring thickness is determined by the application required and ensures years of constant use without any problems. Please contact us for more information on any of our services and a no obligation quotation on any insulation work that you require!